If you have a strong desire to help people enhance their quality of life and want to maintain a flexible work schedule, a career in optometry could be a good fit for you. 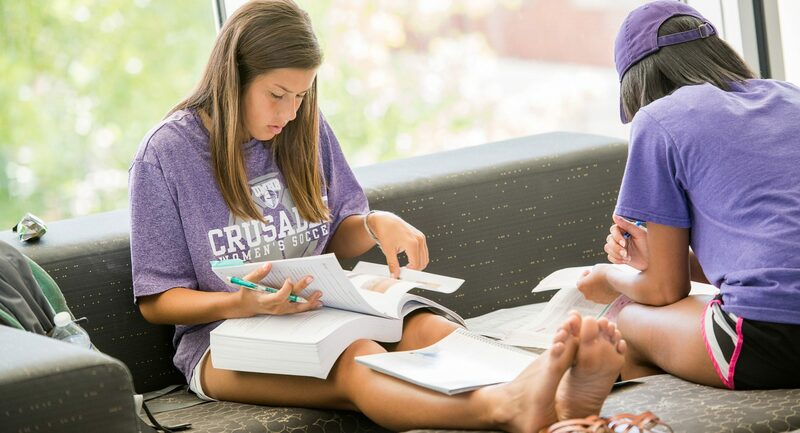 The pre-optometry advising program at UMHB is designed to help students who seek a career in optometry by providing them with information and support they need as they prepare for and apply to optometry school. Students wishing to pursue a career in optometry may major in any field of study, as long as they also complete the foundational courses in biology, chemistry, physics, and mathematics that optometry schools require. UMHB’s pre-optometry advisors are equipped to help you tailor your studies to your particular interests, complete the foundational coursework required for optometry school, and navigate your way through the application process. Who will my advisor be? Dr. Ruth Ann Murphy serves as the advisor for pre-optometry students majoring in chemistry. Dr. Karen Grant serves as the advisor for pre-optometry students majoring in biology or other majors. What courses do I need for optometry school? Course prerequisites vary at different schools. The American Optometric Association offers list of accredited optometry schools and the courses they require for admission. How can I prepare for the OAT? The AOA offers advice and resources for preparing for the Optometry Admission Test. Kristen Pratt '14 is a therapeutic optometrist in Longview, Texas. She says, "I was able to grow as a leader and as a person in a safe, nurturing environment. This university truly helped me develop and learn more about myself as well as science. It benefited me to have professors know me as an individual and have small class sizes, so I was not overlooked. As an optometrist, I strive to care for my patients in the same way that I felt my professors at UMHB cared about me and pushed me to achieve greatness." How can I meet other pre-optometry students at UMHB? The Pre-Health Professionals Club offers activities for all students who desire a career in healthcare. What optometry schools have accepted UMHB alumni? Pre-optometry students from UMHB have gone on to study at the University of Houston College of Optometry and the University of the Incarnate Word Rosenberg School of Optometry, the two optometry schools in Texas. To what kinds of jobs can this career path lead? Pre-optometry students are encouraged to establish a connection with a member of the Pre-Health Professions Advisory Committee as soon as they enroll at UMHB. Members of the committee serve as advisors for students pursuing careers in optometry. The committee is also responsible for writing students’ letters of recommendation when they begin the application process.